Dear users, you are welcome to visit the official website of Macrotellect! Shenzhen Macrotellect, Ltd., (here after referred to as “Macrotellect”) undertakes the after-sale services for BrainLink products and is committed to providing consumers with the “most humane, fastest and most convenient” high-quality services. Macrotellect will adhere to the service idea that “the need of a customer is our greatest motivation and the complaint of a customer is the best suggestion for us”, and strive to achieve unity of products and services. The consignee information is unknown (including: the phone number of the consignee is wrong or absent; his address is insufficient; the phone number of the consignee is not in service and he cannot be contacted for three consecutive days). The commodity information is clearly wrong or the commodity needed exceeds the inventories of Macrotellect. Force majeure; Macrotellect system failure or suffering from a third party attack, or other circumstances that cannot be controlled by Macrotellect. We promise to protect the privacy of the visitors to this website with this privacy statement: this privacy statement is being continually improved. As the service scope of this website is expanding, we will update our privacy statement in a timely manner. We welcome you, at any time, to view this statement. While agreeing to the service protocol of the website of Macrotellect (the “Protocol”), you have agreed that we can use and disclose your personal information, according to this privacy statement. All the provisions of this privacy statement are part of the protocol. If you intend to register as a user, we recommend that you register a username and password, which will be convenient for you to subsequently view and track the status of your order. If you do not register a username and password, please keep your submitted order information, so that you can check the status of your order by phone number or name and other contact ways; if you disclose your password, you may lose your personally identifiable information, which may lead to judicial action against you. In this case, you should immediately notify the Company and WeChat customer service center, and contact us. The official website of Macrotellect will reserve the right of notification services including the registration of this website, sending order information to shoppers and promotional activities through the form of E-mail, SMS and mailing journals of the association. If you have registered, and done shopping on the website of Macrotellect, which indicates that you have implied agreement to accept such services. If you do not want to receive an E-mail, SMS and the journals of the association from Macrotellect, you may make a request with Macrotellect for canceling the subscription of this information and indicate your E-mail address, cell phone number or relevant address information. Macrotellect, Ltd., will cancel the subscription for you after receiving your request. We will not provide, sell, lease, share or trade the users' personal information to any third party, unless the third party works with Macrotellect to provide services for the website and users, but, after the completion of such services, the third party will be prohibited access to all such information which it could previously access. When we have provided your information, in accordance with the requirements of law enforcement and the government, we will kindly disclose your data. User information and data are collected and stored on a server in China. Only when it is necessary to make a backup, we may send your information to servers in other countries. Our website has corresponding security measures to ensure that the information we have will not be lost, abused or altered. These security measures include backing up data to other servers, and encrypting user passwords. Although we have these security measures, but please note that there are no “perfect security measures” on the Internet. You can modify or update your personal information and password on the website of Macrotellect at any time (after a successful login). After you have made payment for your order, you can request canceling your order, unless your order has been confirmed by Macrotellect, Ltd. If the Company approves the refund of your payment, the refund will be transferred to your personal account. You can check in your personal account. If you order has been confirmed by the Company, then you cannot cancel your order, but you can contact the Customer Service Center of the Company to negotiate receiving or rejecting the goods you have ordered. If the seller does not respond to the request of the buyer, after the buyer has submitted the request for more than 48 hours, the system will automatically refund to the buyer. Due to the time occupied by logistics distribution, if the date of receipt of the goods by the customer is different from that of the invoice, Macrotellect promises that the customer can receive the three guarantees for the quality of the goods from the date of signing for receipt of the goods by the customer. If both the seller and the buyer reach agreement on the returned and/or exchanged goods, Macrotellect will provide the address for returning the goods and other relevant information within 24 hours. If the returned and/or exchanged goods are initiated by the buyer due to his personal preferences and other subjective reasons, the principle shall be observed that the returned goods shall not have an impact on the secondary sales of Macrotellect products. Otherwise, the request for return and/or exchanging the goods will not be supported in principle. However, if both Macrotellect and the buyer reach an agreement, the will of both parties shall be respected and the request for return and/or exchange of the goods shall be completed. When a buyer returns the goods, he shall select express delivery mode as required by Macrotellect, Ltd. The buyer shall observe the agreement and shall bear all the logistics costs and losses arising from returning the goods. The specification for the transportation expenses for returning and/or exchanging goods: The judgment on who should bear the transportation expenses for returning and/or exchanging the goods shall follow the principle that, “the person who causes the returning and/or exchanging of the goods shall bear the transportation expenses”. Notes: According to the provisions, with state policy scope of three guarantees for the quality of the goods, if there are quality problems with the product bought by a customer, the customer may directly contact the after-sale service of the official website of Macrotellect and can enjoy the right to return the goods within 7 days and exchange the goods within 15 days, (not due to personal reasons of the buyer), (since the date of actually receipt of the goods by the buyer, the date of signing for receipt of the goods by the buyer shall prevail). A Is the Q & A helpful for you? Having legitimate business qualifications, a copy of a valid business license, tax registration certificate, copy of the ID card of the legal representative or the responsible person and other data. Having industry experience in selling digital products, creative products and gifts, etc.,having a fixed office space and necessary office facilities, and can provide offline venues for showing the BrainLink mental head band. Having strong financial strength and a good business reputation. Willing to work with Macrotellect Ltd., to achieve common development and to maintain a long-term strategic partnership. Any company which has aforesaid qualifications, can apply to become a franchised dealer of Shenzhen Macrotellect, Ltd. The applicant shall fill in an Application Form of Dealing Intention, provide copies of the business license, tax registration certificate, organization code certificate and ID card of the legal representative, as well as photos of the premises and show venues. After the application is examined and approved, the agent certificate for the dealership, will be issued to ensure that the dealer shall have all the powers within the authorized scope. How BrainLink detects my brain state? Similar to the principle of electrocardiograph or sphygmomanometer used in the physical examination, BrainLink uses the metallic copper sensor safe to human body to detect the bio-electricity signals on the epidermis of human body. The brainwave signals of human body are centered in the head, while the area that is the most beneficial to brainwave detection is located in the forehead without coverage of hair. Therefore, BrainLink uses a single-point metal sensor to collect the bio-electricity signals. BrainLink will process these signals to some extent, e.g. clutter filtration, noise reduction and analytical calculation, and then send the analyzed brainwave state to iPad or other intelligent terminals via Bluetooth. Why ear clip is used? What is it used for? Ear clip plays a role of "sensing circuit". There are two sensors in the ear clip, one of which is reference electrode, and the other of which is grounded, the same as the clip at the ankle while electrocardiography. Cardio-electricity is the strongest bio-electricity signal in human body, so it can be accurately collected in a circuit crossing half of the body, while cerebro-electricity is much weaker, so it can be collected in a circuit crossing half of the head. The ear clip of BrainLink is precisely ergonomically designed, comfortable to wear, without causing any discomfort to the earlobe. Is it safe to wear the BrainLink on the head? BrainLink uses the internationally popularized Bluetooth 3.0 wireless transmission standard protocol, and many Bluetooth headsets have also used the same wireless technology. However, the data size and power transmitted by BrainLink are much less than the audio and voice of general Bruetooth headsets. 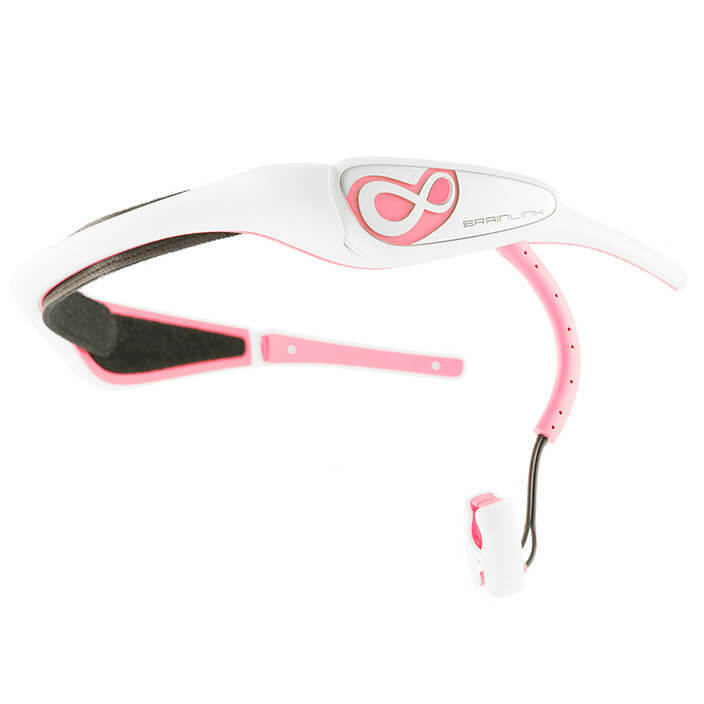 Therefore, compared to the commercially available Bluetooth headsets, BrainLink has nearly zero radiation. BrainLink has passed the certification of Bluetooth SIG, FCC, CE, SRRC and other radio safety certification authorities, and has been authorized by MFi (Made for iPhone). The built-in lithium battery has also passed the UL1642 safety certification. The materials used by BrainLink are environmentally-friendly, recyclable, free from harmful ingredient, consistent with the international environmental protection ROHS certification. Can BrainLink detect what I'm thinking? No. BrainLink can detect the changes in the strength and frequency of brainwaves in the left forehead of the brain only. These changes can reflect different human brain states only, e.g. focused, relaxed, fatigued, nervous and anxious, and will not reveal the concrete thinking information. Therefore, BrainLink will not reveal the user's thinking information privacy. Will BrainLink affect or control my thinking? No. BrainLink uses the un-embedding brain-computer interface technology to collect the brainwave bio-electricity signals on the forehead skin surface only via the sensor contact with the skin. BrainLink will not interfere, affect or even control the user's brain via any bio-resonance technology (e.g. Alpha acoustic wave or optical wave). How BrainLink makes me more focused or relaxed? BrainLink trains the brain's self-state-regulating ability, a spontaneous regulating skill. Many Apps will offer some tips to control the brain states (e.g. auto-suggestion, imagination method, breathing regulation and Alpha acoustic wave resonance, etc.) You can pace yourself or develop new skills according to these tips. BrainLink can help you to validate whether the brain is really in the focused or relaxed state, and give the visual and acoustic feedbacks and tips by means of multimedia. Through these feedbacks and practices, you can gradually develop the self-regulating skills best fit for yourself, and then gradually consolidate these abilities through long-term training, thus flexibly used in the daily life and learning. Everyone has different trigger points to enter the focused or relaxed state. However, BrainLink can help you to find your exclusive focused or relaxed "note" more scientifically and more rapidly. How is the training effect of these Apps? BrainLink uses the application of cerebro-electricity feedback technology in the multimedia field. Many research institutions and universities at home and abroad have carried out scientific experiments on how this technology improves the human psychological health, and have proved that this technology can bring the improvement to different extents. The cerebro-electricity feedback technology has been always been widely used in the treatment of children hyperactivity, the most popularized method without side effect in addition to the drug therapy. In our opinion, this technology not only can be utilized in the treatment of children with hyperactivity, but also should be popularized to the public consumers to help more people to improve the brain self-control ability. Many apps of BrainLink has the effect evaluation functions, e.g. the calendar in the "Mind Yoga" or the parent interface in the "Mind Ant". You can record your brainwave data for a long time with these functions to observe the change trends, and the effects will be clear at a glance. Meanwhile, the system will provide evaluations and suggestions based on the user performances. The parent interface also provides a ranking of cloud brainwave database, so that you can understand the ranking of your child in the focus among the nationwide children of the same age. You can rapidly understand the brain self-control performance levels of yourself and your child. My child himself is focused on the game or the things that he is interested in. Can the BrainLink games play the effect? BrainLink trains a kind of spontaneous "proactive focus", different from the "passive focus" stimulated and induced by the outside world. Many educational experts think that the proactive focus is more important! In many BrainLink games, the user should proactively enter the focused state to pass the challenges and obtain the rewards. Difficulties will be gradually increased with the games, so the user should be more proactively focused and more rapidly for a longer time, thus the user's spontaneous focus will be gradually improved. Will the long-term focus training have any adverse effect on the vision or brain? Any long-time use of tablet PC or mobile phone will cause adverse effect on the eyes. Therefore, we suggest that each continuous use time of BrainLink not exceed 30min. You can set the play time and the rest time on the parent interface of the games. Additionally, in part of relaxation game apps, the user will often close the eyes to relax, which will greatly reduce the eye pressure, and the long-time relaxation and meditation will be helpful for the brain health. Therefore, if you are worried about your child's vision or brain fatigue, you can encourage your child more to interact with the relaxation games (e.g. the relaxation mode in the "Mind Yoga" or "Think-tank Star Crisis"). How can my terminal device set up the Bluetooth pairing connection? Please ensure that BrainLink has sufficient electric quantity and has been turned on, and that the red/blue Bluetooth indicators are flickering alternatively. Then, enable the Bluetooth function in the Bluetooth setting of the terminal device, and then wait several seconds. "BrainLink" should appear in the Bluetooth list, and auto-pairing will start next. Some old devices might request you to enter the Bluetooth pairing code. Please enter "0000". If successful pairing, the device in the list has been connected, and only the blue Bluetooth indicator of BrainLink is flickering. Please refer to the "BrainLink Quick Start Guide" inside the packing box, or download the app "BrainLink" from App Store, where the animation video will teach you how to conduct the Bluetooth pairing. I'm sure that the BrainLink and the Bluetooth have been simultaneously turned on, but I still cannot search the Bluetooth. 1. Please restart the terminal device and clean the caches in the Bluetooth list. Excessive Bluetooth or previously connected BrainLink will result that the device cannot search the new Bluetooth again. Restart the device and conduct the pairing again. 2. Please check the Bluetooth indicators on the BrainLink. If only the blue indicator is flickering, it indicates that BrainLink has connected with another device. Please turn off the Bluetooth of another device to disconnect, and then conduct the Bluetooth pairing with the new device. 3. If you use the mobile phone or tablet PC with Android system, please refer to the manual and ensure that your device is provided with the Bluetooth function and supports the connection with the third-party Bluetooth. Some Android devices use the closed Bluetooth protocol, and it will result that BrainLink cannot set up the Bluetooth connection with such devices. I have successfully set up the Bluetooth connection, but I cannot see the focus and relaxation energy strips when I open the apps compatible with BrainLink. 1. Please read and familiarize the descriptions of connecting signals in the "Signal Description" in the app "BrainLink" (search the keyword "BrainLink" on the App Store, and you can download for free), and operate according to the descriptions and suggestions. 2. Please click the connecting signal icon on the top right corner to open the advanced detection function. Observe the raw brainwave pattern, and operate according to the app descriptions. 3. Please try to close the apps running in the background, particularly the apps compatible with BrainLink or using Bluetooth. These apps are possibly occupying the Bluetooth channel. 4. Please restart the device and connect the Bluetooth again. How to wear the BrainLink correctly? Actually, to wear the BrainLink correctly, just ensure that the two metal sensors contact the forehead and earlobe. Please refer to the "BrainLink Quick Start Guide" inside the packing box, or download the app "BrainLink" from App Store, where the animation video will teach you how to wear the BrainLink correctly. After wearing the BrainLink correctly, you should be able to hear two prompt tones. to watch the BrainLink video tutorial. I'm sure that I have worn the BrinLink correctly according to the Quick Start Guide and the wearing guidance video, but why the connecting signal icon still shows "Not Wear BrainLink Correctly" (yellow three-grid or one-grid icon)? 1. Shake violently or blink or talk frequently, resulting in myo-electricity interference. 2. Hair, earrings or other objects contact with the metal sensor, or cover up the contact with the metal sensor. 3. Excessive sweat or cosmetics blocks the metal sensor. Try to wipe the sweat or other impurities on the forehead and sensor. 4. The metal sensor does not fully contact with the skin. It is suggested to adjust the ear clip to ensure that the two sensors inside the ear clip are close to the earlobe, and additionally, observe whether the metal sensor on the forehead is close to the skin contact surface on the forehead. Adjust the elastic band properly to allow the forehead to be close to the sensor. 5. There are strong electromagnetic wave interferences or lots of electronic devices (particularly wireless devices) in the surrounding environment, e.g. mobile phone communication, TV screen, air-conditioning and camera, etc..
6. The environment is too noisy, and high-decibel acoustic wave will also produce interference. The above circumstances can be troubleshot in the advanced detection functions (refer to the app "BrainLink" -> signal descriptions -> advanced detection functions). To achieve the optimal experience effect, please exclude the above circumstances to ensure the cerebro-electricity detection stability. Alternatively, you can try to wear the BrainLink again and wait several seconds patient until the prompt tones and the green icon of correct wearing appear. How is the battery capacity? How long a full battery can be used? BrainLink uses the lithium battery (160mAH) that has passed the UL1642 safety certification. A full battery can be used for 4~6 consecutive hours. The USB charging source is 5V, 500-1000mAH (standard USB power source). You can use the computer USB port or the iPhone/iPad charger. A global first wearable brainwave control device, BrainLink has introduced the advanced foreign brain-computer interface technology. It enables the mobile phone or tablet PC to understand your brain state in a timely manner, e.g. whether you are focused, nervous, relaxed or fatigued. You can also proactively regulate your own focus and relaxation to give the instructions to the mobile phone or tablet PC, thus realizing the magical "Mind Control". What is the effect of BrainLink? BrainLink can train our focus and relaxation in the entertainment and game-playing manners, provide the EQ training, enter the deep relaxation and novel interaction modes in an assisted manner, offer the unprecedented feelings, and support the parent management interface function. Who is the target population of BrainLink? Children (aged 4~14): BrainLink can enable the children to learn how to control their brains, so that the children can focus to listen to the class lectures carefully, thus improving their academic results. White-collar workers and yoga & meditation fans: They can use our device to relieve the working pressure and relax the mind in their spare time. Before going to sleep, you can also combine with our Meditation Garden, Happy Meditation and other apps to improve your sleep quality more scientifically, effectively and conveniently. Old people: Daily brainwave control training for a certain time can relieve the Alzheimer's disease. How to sell the BrainLink in combination with the customer needs? For most white-collar workers, they need better relaxation after a busy day. At this moment, allow the customers to experience the relaxed apps, e.g. Meditation Garden, Happy Meditation and Mind Yoga, rather than the focused games. It is suggested to allow the children to experience the focus exercises, e.g. Mind Fruit Frying, Mind Ant and Mind Move, etc..
How to use the BrainLink? Isn't your product a game? A 1: Our company is a high-tech company engaging in the brainwave interaction & emotional guidance teaching cloud platform and the individual & family brainwave entertainment & interaction solutions. Our R & D team has introduced the advanced foreign brainwave technology and present in the animation form, so that the users can enjoy the games when use, and can receive the focus and relaxation training. Children might be addicted to the ordinary games once playing, but our training software is to enable the children to learn to relax and focus. What we communicate to them is a kind of method. Therefore, our product is inherently different from the game. A 2: Most of all, our app is different from the traditional game in the playing method. We use the most advanced "brain-computer interface" technology to detect the extremely weak cerebro-electricity signals on the head epidermis, and judge the different behaviors and states based on his frequency, thus realizing the playing method of game controlling by mind, and our game design is very lively. Is your product used to play games only? A 1: Our apps are mainly used to train the focus and relaxation in the game-playing manner. What we advocate is the value proposition of "healthy brainwave and new family". Game & animation is one of our manifestation modes. We have developed different multimedia mind interaction experience, relaxation guidance and other apps specific to different ages, e.g. Meditation Garden, for the purpose of enabling the users to make their brainwaves more healthy in a simple, convenient and educational manner. Why haven't I heard of your product before? Possibly, you pay less attention to this product. Actually, this brain-computer interface technology has been popularized in foreign countries, and our company is the first to develop this technology in China. The educational idea in foreign countries is very open, and the parents in foreign countries pay more attention to the children's character and ability training. Therefore, this product used to train the children's character and ability is tremendously popular in foreign countries. In China, affected by the national education system, parents possibly pay more attention to the children's academic results. Our boss is a returned personnel studying abroad. His original intention of founding this company is to enable more Chinese children to learn and live happily. If you have any doubt about our product, we can show our product qualification certificate and industrial authorized certificate. What is the effect of your product? A 1: Simply speaking, our product can enable the users' brain to learn to relax and focus. At present, our company has the programs developed for the children aged 4~14. Nowadays, the children have heavy learning stress and learning burden. How to relax themselves in the heavy learning? How to focus under the heavy stress? I think these are the topics concerned by the students and parents. Based on the statistical analysis of data from our previous pilot projects, after trained by our training software system, many children’s focus have indeed strengthened. Additionally, we believe that in addition to the children, other remaining family members can also use our product to make some mindful parent-child interactions, because a healthy brainwave is beneficial and vital to everyone and his relatives and friends. A2: Simply speaking, our product can enable the users' brain to learn to relax and focus. BrainLink translates the human brainwaves into the visible data map with the advanced technology to help the users to understand their focus and relaxation, thus improving their poor self-control. A3: If old people use our product to do some brainwave control training for a certain time daily, it would be helpful for them. For example, it would be helpful to relieve the Alzheimer's disease. Can your product play a role in our life? A1: Our product can teach you how to better relax and focus. If you have heavy stress at work but you do not have time to do yoga or other relaxed games, you can select our product. It can allow you to close your eyes meditatively, to clear your mind, and to leave you in a "zero" rest state. A2: If your child' academic results have been stagnant due to failure to focus in class, you can select our product. It can enable your child to rapidly learn how to do a certain thing in a more focused manner. It will not waste you and your child too much valuable time to use our product. You just need a computer, smart phone, iPad, TV or iPhone, and wear our headset. Then you can enter the focused and relaxed state easily. After the training for a period of time, your child can master a set of methods belonging to himself effective to control his focus and relaxation, and apply such methods in the learning and life. Is your product used for the children with psychological problems (e.g. hyperactivity)? A: Simply speaking, our product is to help the students to improve their self-focus and relaxation. Actually, these abilities exactly can urge them to develop good living and learning habits, e.g. listening carefully in class, sleeping on time, restricting the time to watch animation and finishing the homework on time; if a child can do these like an adult, will you still be worried about his poor academic results? For the children with psychological problems, we suggest them to receive the treatment from professional psychologist. If our product is used as adjuvant therapy, the result will certainly be better. Why your product is so expense? Anyway, it is a headset only. A: Our induced brainwave chip is imported from foreign country. At present, China still has no ability to produce this chip. As you know, the vehicle of the same brand imported from foreign country will be much more expensive than the domestic one. To buy a high-tech product, we not only see its existing presentational value, but more importantly, we own the high-tech value contained behind the product. It can enable our brain to learn to relax and focus freely, which will be faster and more significant than the effect of more cram schools. A2: BrainLink is a product in combination with software and hardware, the true value of which is reflected in its abundant software apps. Apps are constantly updated. In other words, the value of BrainLink is also constantly improved. In addition, the product has passed the Apple's MFi official certification, with the quality guaranteed. Because it is a product officially certified by Apple Inc., the price of general MFi product will be 20%~30% higher than that of other products. A3: The value of BrainLink is that it helps you (or your child) to understand the brain state, and to train the brain focus and to help release the emotional stress through the educational interesting apps, so as to reach a healthy brain state. This is closely related to our daily life, learning, work and social contact. In my opinion, it is not expensive at all to spend 2000 yuan to buy the "brain health". Don't you have too less apps? A: At present, we have 14 sets of BrainLink apps, officially developed, free for download. Meanwhile, we also have nearly 20~30 apps developed by the third-party developers from all over the world. After buying our product, you can download the apps from our official website, and our development group is also developing new apps and games. If you have better game idea, you can tell us, and we will take it into full account. Perhaps your proposal will be accepted by us. Therefore, do not worry about the app singleness. As long as the customers are in need, we will try our best to satisfy them, and in the next five years, we plan to develop towards the brainwave cloud service. A: Human brain is like a machine running at a high speed. Failure at any part will possibly result in brain discomfort. Brainwave is a microscopic biological wave truly existing in the brain, which can be quantified by data. The scientist researches over the years show that the brainwave value can feed back the brain health condition. Our R & D personnel have utilized the scientist research result over the years to conclude that when human brainwave is at a certain range value, it is the most healthy brainwave. The healthy brainwave we advocate is that people should understand their own brain at a deeper level microscopically, thus knowing the brain health condition. People are afraid of the unknown world. Only the own health can be controlled by themselves and clear data and image can be seen, can they be at ease. We have morphologized the brainwave, and the morphologization data should be known by people. Therefore, brainwave product can become a necessity of life. A2: As a useful metaphor, we can regard the four brainwaves of the brain as the four gears of automobile. Delta is first gear, theta is the second gear, alpha is the third gear, while beta is the fourth gear. No gear can fit for all the driving states, and no brainwave state can fit for all the life challenges. If a certain gear of automobile cannot be used, or we forgot to use it, there will be something wrong with the automobile. If we start with the first gear, and then shift to the fourth gear directly (the second and third gears omitted), the automobile fuel consumption will be increased sharply, and the repair charge will be high. So is the brain. But unfortunately, too many people have omitted the second and third gears (theta and alpha brainwaves) when use of the brain, so that the brain working efficiency is decreased and the medical charge is increased. How does this happen? Let's give an example to describe the modern life. When deep sleep (delta brainwave state) in the early morning, you are awaken up by the alarm clock suddenly. There is not enough time, and you must take immediate action (beta brainwave state). A nervous, anxious and hurried day starts!!! You drink a cup of coffee to keep awake (beta brainwave state), because the caffeine can inhibit the theta and alpha brainwaves and enhance the beta brainwave. You work in the nervous, stressed or anxious state all day long (beta, beta and beta brainwave state) until fatigued in the evening, and you throw yourself into the bed and fall asleep (directly entering into the delta brainwave state). You do not have time to relax and to feel fatigued during the day (no time to enter into the alpha and theta brainwave states). In the modern life, too many people drive the brain like this, suddenly and powerfully from the first gear to the fourth gear, and directly from the fourth gear to the first gear. 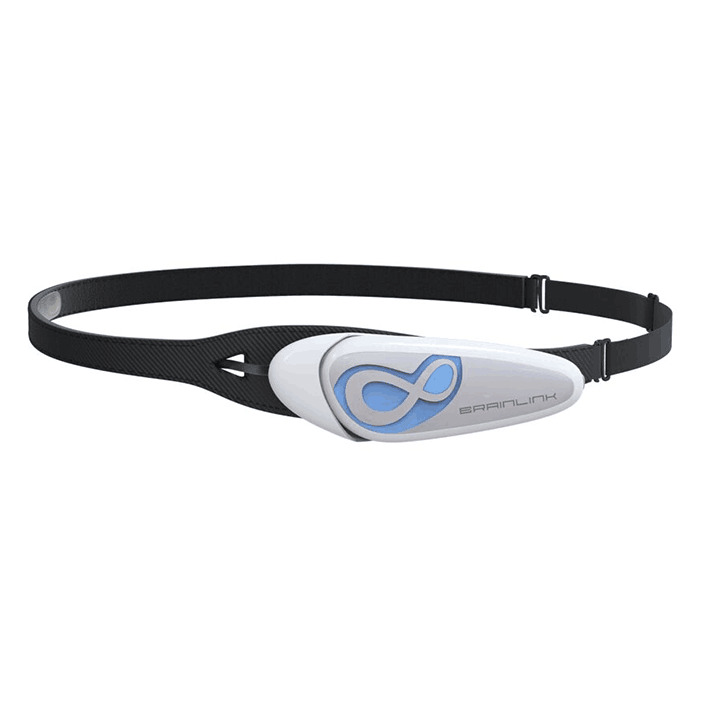 BrainLink is an intelligent device which can detect the brainwaves. It can detect the brainwave signals in the frontal lobe (the brain forepart is responsible for immediate memory and outside perception) via the forehead sensor to contact with the skin. By analyzing the frequency of these signals, BrainLink can know the brain states, e.g. focused, relaxed, anxious and nervous, etc.. Users can execute the instructions on the intelligent terminal to interact with apps by regulating their own psychological states to change the brainwave frequency, so as to realize the "Mind Control". Brainwave (EEG), like the cardio-electricity (ECG) and myo-electricity (EMG), is a bio-electricity, produced by human organ. Brainwave is bio-electric current produced by connection and interaction between neurons. Human discovered the brainwave (EEG) in 1920, and discovered the changes in the brainwave rhythms in the human states. Later, the brain science circle set these rules into a set of standards, forming the EEG today. Generally speaking, people are in the alpha and beta states when awake, and in the theta or delta state when sleep. Alpha (8~13 Hz) is a relaxed state when people are consciously awake, e.g. walking in a park, doing yoga or closing their eyes meditatively. It is widely believed that this state can promote the physical health condition, particularly the sub-health condition of urban high-stress population. Alpha state can reduce the physical stress hormone secretion, and improve the insomnia, low immunity, obesity, hypertension and other sub-health conditions. Beta brainwave is generally divided into low beta wave (13~17Hz, also called SMR wave) and high beta wave (18~30Hz). Low beta wave is the brainwave when people are in the working state, a focused state, where the limb movement is under control. High beta wave is the brainwave when the brain is in the stressed, nervous and excited state. If the brain is in this state, a lot of energy will be consumed, and the brain will feel fatigued, anxious and stressed. Beta brainwave is particularly important for people's working and learning performance. Therefore, cultivation and induction of beta brainwave in the childhood will be greatly helpful for the future growth of the children. If child cannot produce beta wave, there is probably a lack of certain nutrient elements during the brain development, resulting in attention-deficit hyperactivity disorder (ADHD). Theta wave (Hz 3~7) is a brainwave between waking and sleeping. When our left brain is in the theta wave state, the left brain will be "closed", and the right brain will be "activated" to become active, clouding in consciousness, but the creative inspiration is endless. Theta is a state the artists and writers often pursue for, and people can reach this state under the effect of drugs. Of course, we can also reach this state naturally when we are meditating and deeply relaxed. Delta (1~3Hz) is a state of deep sleep, which allows the body and brain to take full rest and get revitalized. Delta wave will also be produced when neonate brain is not fully developed. The product is comprised of the core module and the sensor support. Core module is comprised of operational chip, controlling circuit board, battery, Bluetooth connecting chip, Apple's decoding chip (used to connect the iOS device), buzzer and lamp control indicator, etc.. Sensor support is comprised of 3 dry-electrode (wet-electrode without conductive adhesive applied) metal sensors, i.e. EEG, REF and GND. Generally speaking, EEG electrode should keep a certain distance from REF electrode to ensure the potential difference and the loop integrity. GND electrode should be placed at a stable contact point. The core electronic components used by BrainLink are from Silicon Valley, NeuroSky, iSSC and Apple Inc., which are combined to become the most miniaturized brainwave sensing product up to now through the precise design. The product has obtained many patents and proprietary intellectual property rights, including the PCT international patent. The software is independently researched and developed by Macrotellect. Macrotellect has been striving to develop the third-party developer ecological chain system. Welcome the developers to join in the brainwave civilian use. The API interface of BrainLink is open-source and free. Developer is required to pay attention to the official account BrainLink only, leaving the E-mail by contact with the customer service. We will send the API and example document to you. Upon completion of development, we will also help you to shelf the app and popularize your product, and 100% of the revenue from the app will be completely dominated by the developer. Meanwhile, Macrotellect can also conclude a cooperation agreement on hardware sales with the developer, binding the developer's app for joint sales revenue splits. BrainLink Lite is the simplified version of BrainLink. 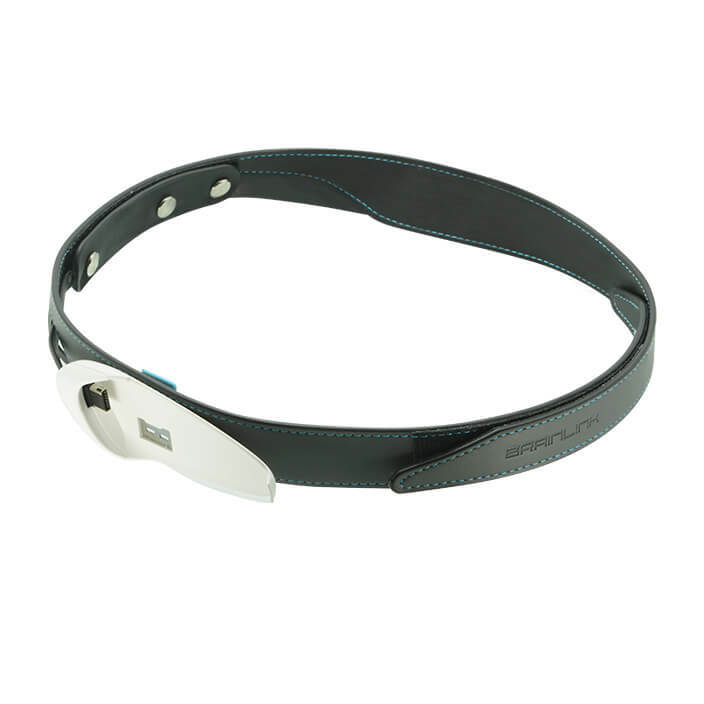 BrainLink Lite with the flexible belt design, can be wore more comfortably and simply, adaptive to more head-forms. BrainLink has one more earl clip electrode than BrainLink Lite, which can detect the raw brainwave signals more accurately, used in the R&D of brain science. Meanwhile, BrainLink has a built-in EmoLight, which can reflect the focused and relaxed state in a real-time manner. 1. The first generation can be used in scientific research, while the second generation cannot. 2. The first generation has the intelligent EmoLight display function. When you wear for training, if you are highly focused, the red light will be on; if you are highly relaxed, the blue light will be on. The second generation does not have such function. 3. The second generation is more suitable for the customers with larger head circumference. The first generation and the second generation have the same basic functions. Compared to the second generation, the first generation can export the clear raw brainwave, which is generally used in scientific research, rather than ordinary users. This is an intelligent wear which can understand your emotion, a rare electronic product in the psychological health field on the market. The device can understand the wearer's brain state and basic emotion through direct analysis of his brainwave. Based on the intelligent application, it can help people to under and manage their own emotion, thus having a sounder mind. Mind is described as a spiritual strength to change the physical condition and action competence through the self emotion and thought adjustment. People with strong mind will be more healthy and confident, more attractive, more motivated, and more calm in the face of accident. Mind is regarded as being critical in the EQ, and of course, people with strong mind will also be more handy when challenging our mind games. There is basically no difference between the two products in use. How can I promote the flagship one? You are suggested to communicate with the user to identify the user's purchasing purpose and purchasing power before recommendation. For example, the children under 12 years, those for third-party application development and research or the customers with certain requirements for the appearance shall be recommended for the first generation; the ordinary non-professional users shall be recommended for the second generation. It shall be identified that it is of significance for the first generation to adopt this design, i.e. 1. 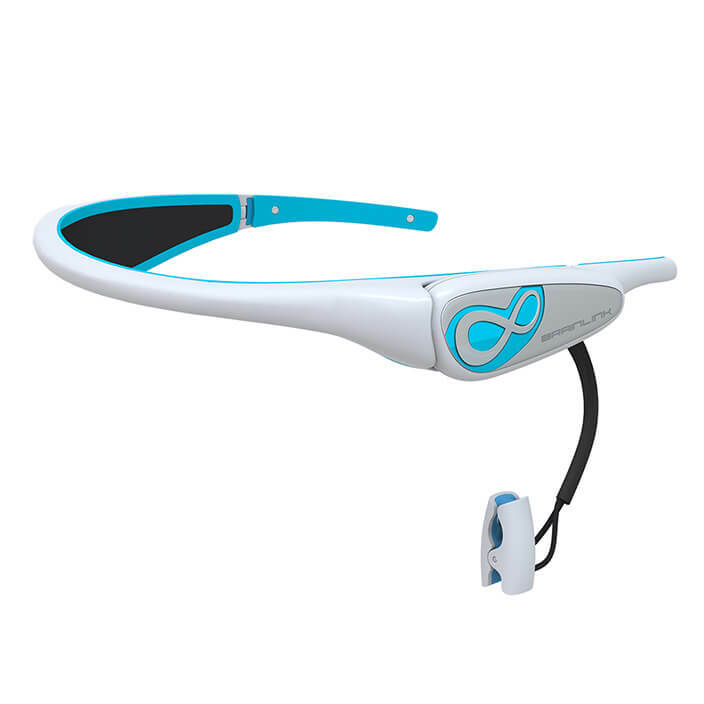 It has the EmoLight which can directly feed back the wearer's brain state to the outside world. 2). It can output the high-definition brainwave signal, and the details contained in the high-definition brainwave signal are of great significance for some professional users. 3. The developer can obtain the comprehensive development guidance and assistance, and it is helpful for the developer to understand the hardware functions as soon as possible and complete the development. How to initiatively regulate my focus and relaxation? The methods of regulating the focus and relaxation vary with each individual, but some universal methods can be tried by you. Whether focused or relaxed, you should keep the gentle and calm emotion without impulsive or negative emotion and thought, which is the key to regulate the brainwave rapidly. In addition, focus and relaxation are not opposite to each other, but can reach a high level simultaneously. Therefore, some methods can be used to improve the focus and relaxation simultaneously. Focus: Focus on thinking one thing, perhaps work plan or life scenario, with the attention towards the future, rather than the memory of the previous unhappiness to the greatest extent; let go the thought, and then focus on something at the moment, and observe the details; adjust the breathing, and give yourself positive psychological suggestion; close your eyes to discover any particular sound or smell you have never noticed. Relaxation: Adjust your body posture to make it feel comfortable; soothe the breathing and feel the breathing rhythms; hum a favorable song with lively rhythms. Will the product radiation harm the health? Our product uses the same battery and Bluetooth module as those for majority of commercially available Bluetooth headsets, and has passed the CE mandatory certification, which is safe. What is the principle of focus training? Is it really effective? Our training is based on the "cerebra-electricity neural feedback" technology, which is a mature technology researched since 1960s, mainly used in foreign laboratories and hospitals previously. Lots of papers and successful cases can be searched on the network. It is a recognized focus training method. Of course, like any other training, you should persist for a period of time to achieve the desired results. Parents should also encourage the children more during the training to enhance the children's confidence. What's going on that I'm always reminded of improper wearing? Please check whether your BrainLink is worn correctly when use. The correct wearing method is as follows: leave the metal chip of forehead hair band at the frontal bone 1~2cm above the eyebrow, and keep all the collected metal points fitting to the skin. Meanwhile, please keep the skin in contact with the metal chip clean and dry when use. Do not contact with the hair or other metallic substances in order not to affect the signal reception. When wearing, do not tighten the hair band too much. Just wear according to the above method. Most people do not know how to focus the attention in the use process. They often believe that once they exert their strength, they are focused. At this moment, the user might have his brows knitted unnaturally, resulting that the chip for collecting brainwaves cannot fit to the skin well. So sometimes the signal is well received, but sometimes the signal is interrupted. If the brainwaves still cannot be collected when you adjust the wearing position repeatedly and hand over the device to other people to wear, you should consider that the device might have malfunctioned, and you should return it to us for after-sale service. We provide the 6-month free warranty. The device will be handled and returned to the customer in no more than 24h after the device is returned to us. I feel I'm already very focused/relaxed. Why not the measured data? Is it due to the inaccurate device? Our product analyzes the current brain state directly by the brainwave signal, and the result is most scientific and accurate and can stand the test. It is normal for the mismatching between the data and the feeling, because your feeling is from your own external information processing and feedback, which cannot truly reflect the brain state. This is also the reason why meditation involving the personal perception requires training, but cannot be mastered easily by everyone. How is the manufacturer Macrotellect? Macrotellect, a high-tech enterprise founded at the end of 2010, has been specializing in transformation of scientific research achievements in the cerebro-electricity field of neuroscience to civilian use. So far, it has produced two consumer products and nearly 20 supporting apps in addition to the abundant hardware accessories. It is a well-known enterprise in the field. It has established good cooperative relationship with CAS Shenzhen Institutes of Advanced Technology, CAS Shenzhen Health Big Data Center, USTB Affiliated Hospital and other domestic brain science and neuroscience cutting-edge academic institutions. What is the difference between BL001 and BL002 when collecting DATA from user. Step 1: Download and install the app. Step 2: Enable the mobile phone Bluetooth function, and start the head ring module to search the pairing. If paired, it is OK. Step 3: Wear the head ring on the head. If two beeps are heard, it is OK. Step 4: Open the app installed in the mobile phone to use. 1. The flagship version can be used in scientific research, while the Lite version cannot. 2. The flagship version has the intelligent EmoLight display function. When you wear for training, if you are highly focused, the red light will be on; if you are highly relaxed, the blue light will be on. The Lite version does not have such function. 3. The Lite version is more suitable for the customers with larger head circumference. The flagship version and the Lite version have the same basic functions. Compared to the Lite version, the flagship version can export the clear raw brainwave, which is generally used in scientific research, rather than ordinary users. Different versions have the same data accuracy, but have different brainwave signal clearness when brainwave output. With respect to the scientific research version, our company provides a data interface for the scientific researchers who intend to carry out the secondary development, so as to facilitate the researchers to acquire the brainwave data conveniently; with respect to the public version, just as its name implies, we do not provide the clear brainwave data for the users who do not carry out the secondary development, and all the data analysis and processing will be completed by our app for the customers. This is the difference between the two versions. The brainwave authenticity, operability and other experiences are just the same. No trouble will be caused to your use. You can use our product with ease. A lot of billionaire CEOs including Steve Paul Jobs are loyal fans of meditation movement. In their opinion, meditation can improve the memory, attention and EQ, thus obtaining better career development and life quality. Medically, there has been no final conclusion about the practical effect of meditation, but more and more people think this is at least an effective relaxation form. After you wear this product, it can detect your real-time brain state, and then regulate your brain state by training with the software in the mobile phone based on this state, mainly the focus and relaxation. What value does it bring when you study and work. This can become the psychological research, particularly the EEG data, which has the reference value for the learning, working and relaxation data collection. What system is BrainLink compatible with, and where you can download these software. For iOS system, you can download by searching BrainLink in AppStore directly. For Android system, you can download by searching BrainLink in Myapp. If you use iPhone, you can search BrainLink in AppStore directly. If you use Android phone, you can download by searching BrainLink in Myapp or Peasecod. Short battery endurance: 1. The battery is not fully charged, and the battery voltage reaches the cut-off voltage only, resulting that the battery charging capacity fails to be full, thus affecting the endurance; 2. To protect the power supply system, we deliberately heighten the cut-off voltage for the low voltage of battery, sacrificing the nominal endurance time, in order to protect the longer battery life. Generally, after beeps, you can still start again, and if you want to continue to play, the battery can still provide the endurance capacity for about half an hour. The official 4h refers that the battery reaches the saturation state when physical charging, and runs under high load all the time until the battery capacity is fully consumed, which is a user mode test. About signal interference, how can we solve it? 1. Firstly, exclude that the tinnitus is interfered by mechanical or intermittent sound source; 2. Exclude that your body static value is higher (generally, the higher static value might reach several thousand or several ten thousand volts). When collection, the voltage will enter the host, resulting in internal circuital current fluctuation, and noise current will occur at the buzzer, thus producing the sound. Our product has the anti-static function, but also has certain voltage value protection range. Therefore, in this case, you are suggested to turn off the host, and the product will balance the static electricity automatically. Then restart and use again. 50% are for psychological training, 30% are for development and scientific research, 15% are individual customers, and the remaining 5% are for unknown purpose. How is the quality of product, is it good? After you feel by yourself, you can know our product is good or bad. The benevolent see benevolence and the wise see wisdom. How does Brain Wave works? When the brainwave is releasing, it can be transmitted to any part of the body via bone conduction. But with the long-distance transmission, the brainwave signal will become weaker and weaker, and it will be mixed up with many cluttered bio-electricity waves. The collection points constitute a loop via the conductor. After the passageway is detected, you can start to collect the bio-electricity waves uninterruptedly. If the waves collected from the part far away from the head are mixed up with many cluttered bio-electricity waves, after the filtration of related chips, some brainwave ingredients will still be translated into digital signals and transmitted to app for decoding. At this moment, there will be change in the value of energy strip, but you will feel that the controllability is extremely poor when use. The device now cannot identify the body parts intelligently. If yes, the price will certainly be much higher. How does BrainLink collects DATA. The device is worn on the head for collection, where there are lots of biological brainwaves are releasing. In this way, more than 90% of the device bio-electricity collected is brainwave. After data processing and decoding, the data will be authentic, and the device will be strongly controllable. Like the advertisement putting, which is also advertising campaign, the reason why the prime time is selected to achieve different putting effect is that the user intensiveness is different. Why does it show BrainLink no worn correctly. Please check whether your headset is worn correctly when use. The correct wearing method is as follows: leave the metal chip of forehead hair band at the frontal bone 1~2cm above the eyebrow, and keep all the collected metal points fitting to the skin. Meanwhile, please keep the skin in contact with the metal chip clean and dry when use. Do not contact with the hair or other metallic substances in order not to affect the signal reception. When wearing, do not tighten the hair band too much. Just wear according to the above method. Step 2: Pair and connect the Bluetooth. Step 3: Wear according to the above method. When two beeps are heard, it indicates that the device already can collect the brainwaves, and then you can move your body and head naturally. 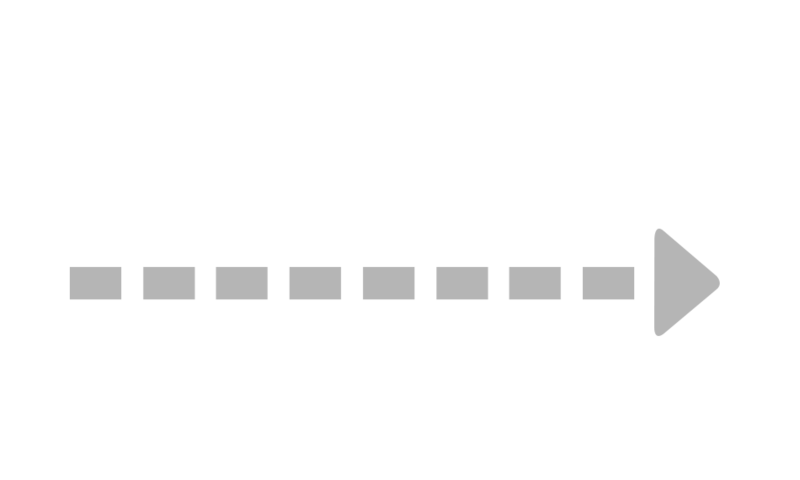 If the signal is not interrupted, it indicates that you have just worn your headset properly; if the signal is interrupted, it indicates that you have not worn your headset properly, and you need to adjust again. Because everyone's headform is different, it is generally suggested to wear the headset to the left of forehead. Most people do not know how to focus the attention in the use process. They often believe that once they exert their strength, they are focused. At this moment, the user might have his brows knitted unnaturally, resulting that the chip for collecting brainwaves cannot fit to the skin well. So sometimes the signal is well received, but sometimes the signal is interrupted. If the brainwaves still cannot be collected when you adjust the wearing position repeatedly, you should consider that the device might have malfunctioned, and you should return it to us for after-sale service. We provide the 6-month free warranty. 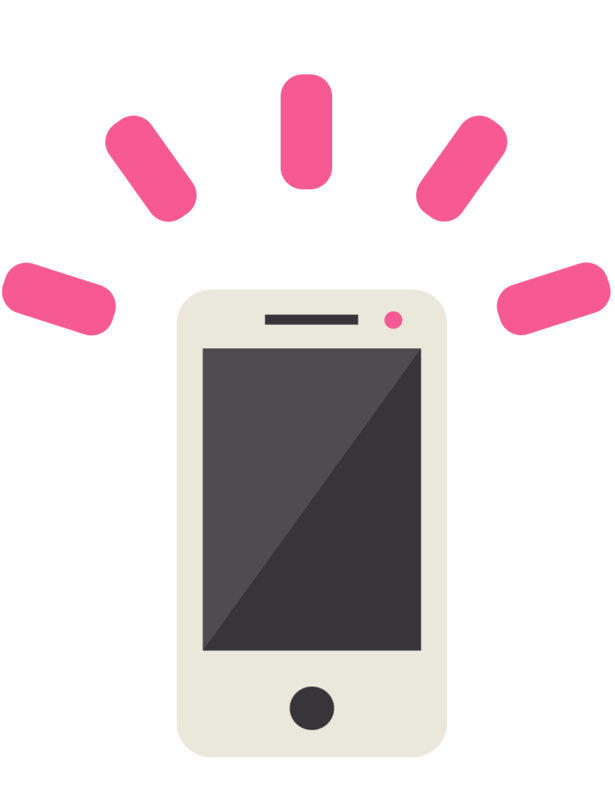 The device will be handled and returned to the customer in no more than 24h after the device is returned to us.